People tend to lunge straight for waterproof jackets hanging on the rails, but we’re here to convince you that sometimes opting for a windproof running jacket is the way to go. Or at least have one in your arsenal of kit to whip out when there’s no rain in the forecast. Windproof jackets are a lot more breathable and will protect you from a chilly autumn/winter wind while out pounding pavements. Here are five of our favourite windproof running jackets. 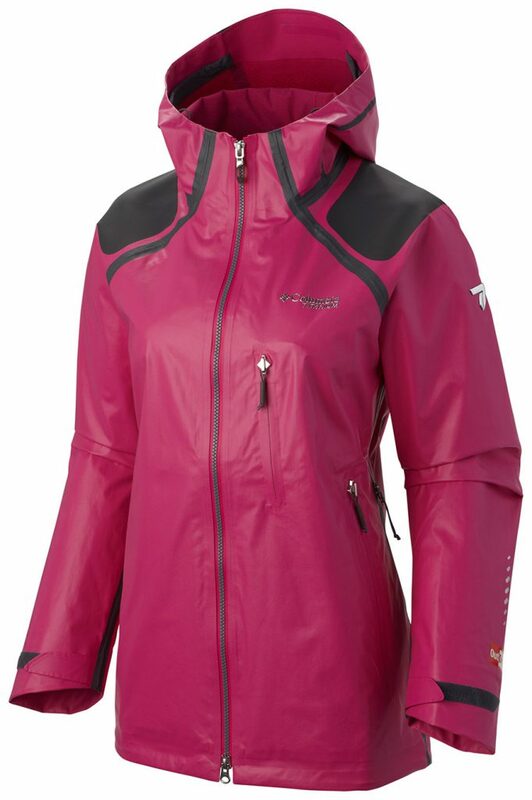 This is one of the few jackets on the market that is both windproof and waterproof. OutDry™ is one of the most game-changing technologies to hit the outdoor market. 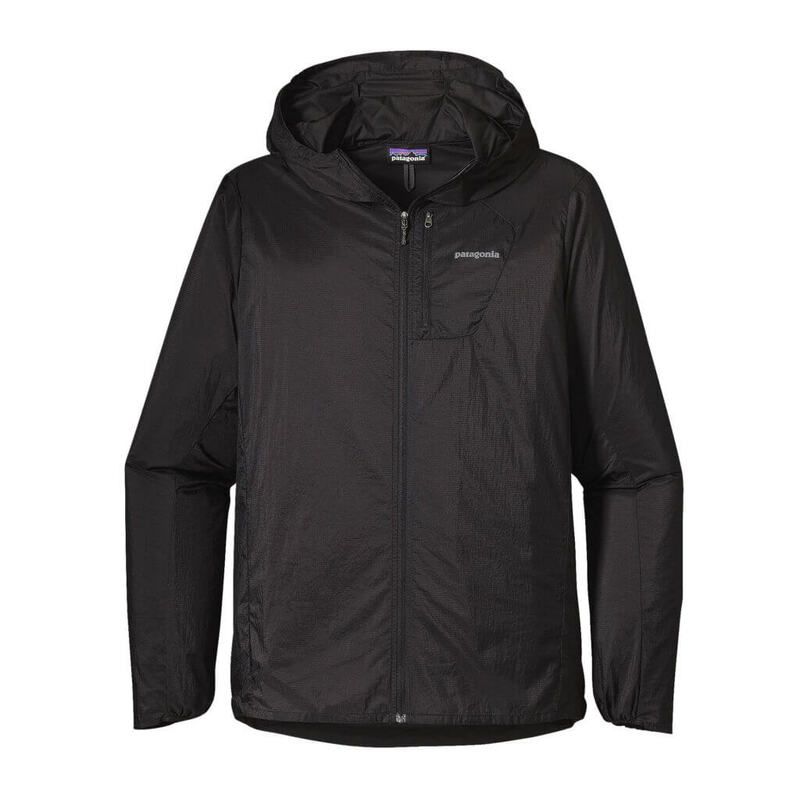 Featuring waterproof fabric on the outer of the jacket with a breathable, wicking fabric inside, this jacket will not soak-in torrential rain like a lot of its Gore-Tex competitors that use interior waterproof membranes which don’t allow for air flow and that have a water-repellent coating that tends to degrade over time. Weighing in at 100g, this jacket is relatively lightweight and will keep you warm out on the trails even with just a base layer underneath. The breathable back and arm panels alongside its stretchy shoulders for movement are top notch and make this garment very wearable. Additional features like the soft lining on the collar, cuffs and thumb loops ensure it ranks high in our eyes. Salomon really are the running experts, and for good reason. Their Fast Wing Hoodie is so lightweight, you wouldn’t even know it’s on you until you go to take it off and feel the cold and rain it has been steadfastly protecting you from. It is excellently cut to prevent any annoying flapping in the wind. The hood has a great pull cord that makes all the difference, plus it has a stretchy waistband which is always handy for some quick storage. 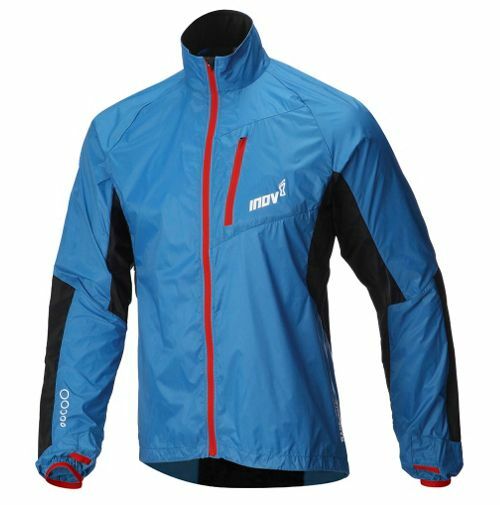 The perfect all-rounder, this jacket wouldn’t look out of place on the city streets, but it really shows its strengths on a run. It’s both durable and lightweight. Our favourite feature is its hood. Our only fault with it is sometimes there’s some restriction around the arms when moving. But it is one of the cheapest on the market, and if you are a climber as well as a runner, this is the product for you. 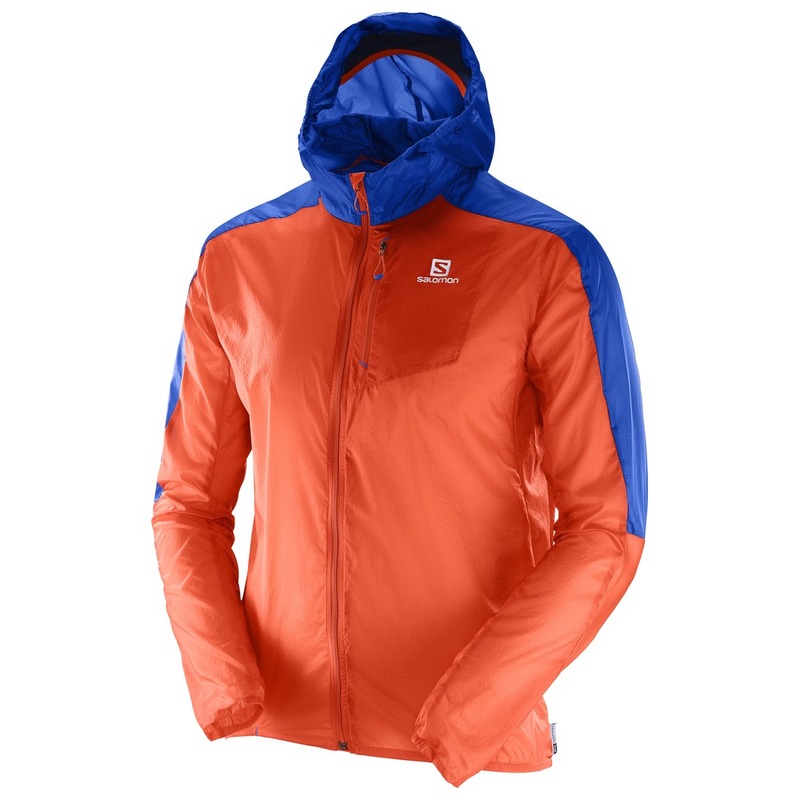 This awesome garment blocks out all of the wind and is useful over a whole range of sports from running to skiing. It offers protection from both the wind and rain. It’s not the most breathable out of the selection here, but it vents well, plus it’s well cut and it looks great. 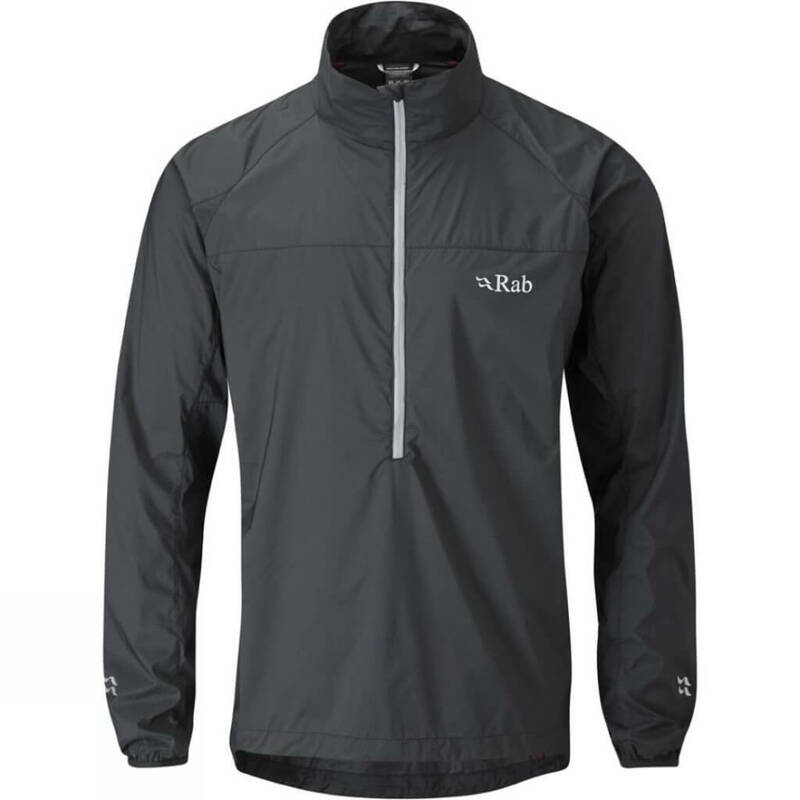 You really can’t go wrong with a Rab product.